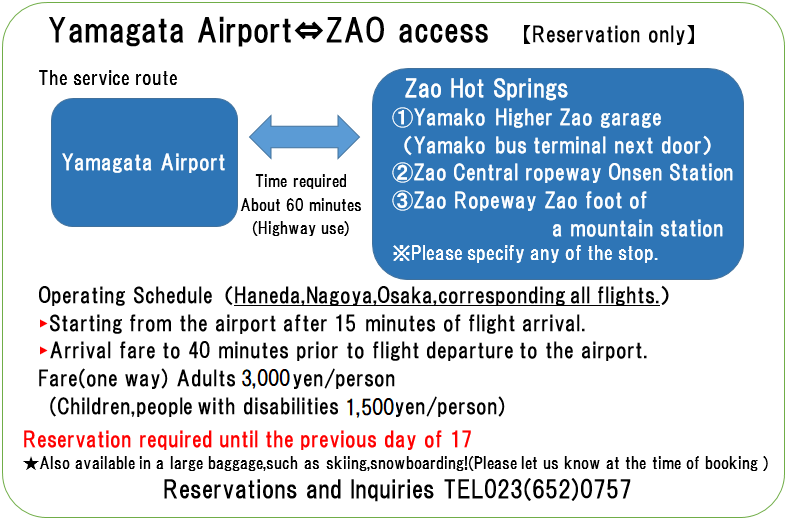 Yamagata Airport and the tourist liner that connects the Zao (share taxi) service! 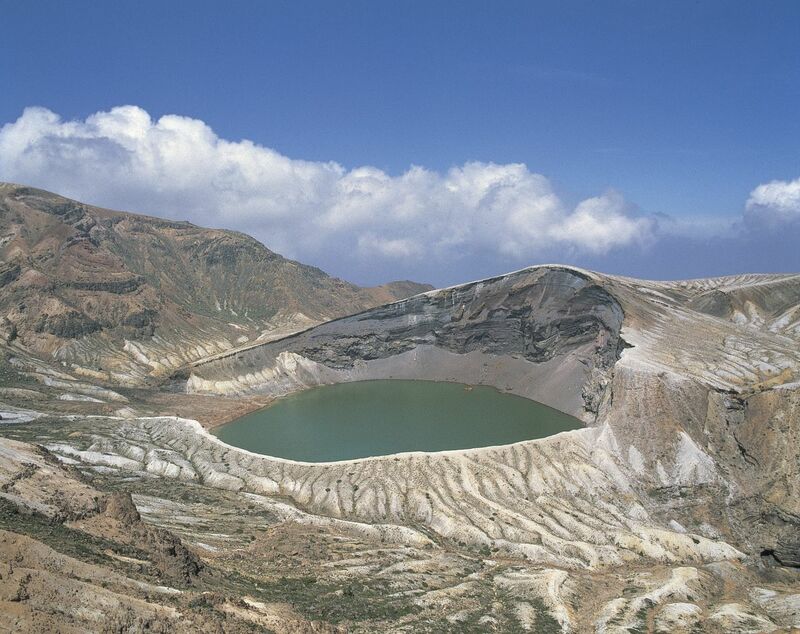 A Mysterious Lake on the Top of Mt. 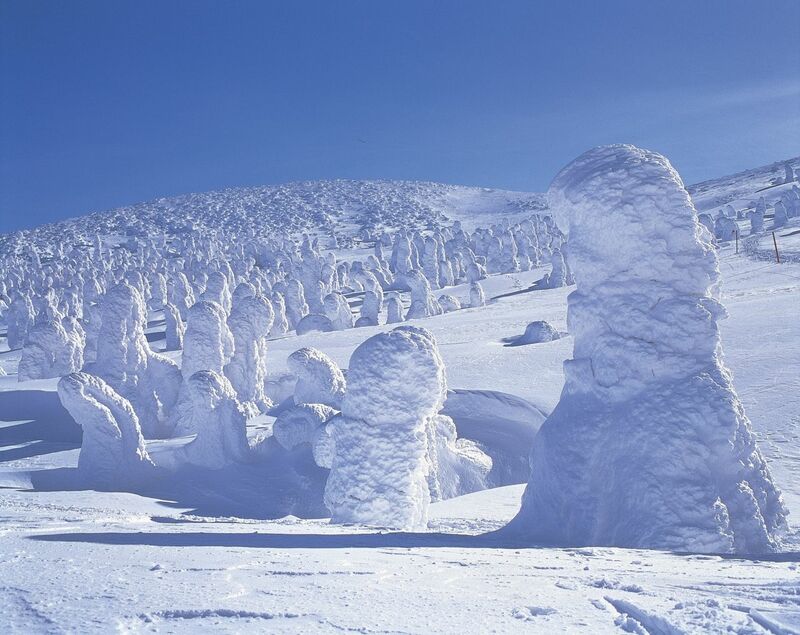 Zao called “Okama” and a large The Japanese outdoor bath , to Zao Hot Springs with a tourist destination that represents Yamagata such as the ice coating on the trees at Zao (late December-early March), Let’s enjoy the "Oishii journey"! ※ is a complete reservation only.